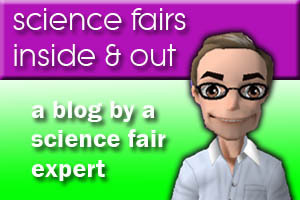 Do you know about the science fairs being held in your area? Here’s a link to state science fairs around the United States. There are lots of resources available on the Internet that will not only help provide you with ideas about your science fair topic, but might let you know about similar past projects on your topic, ideas about how to conduct your experiment, as well as be a source for data. Here is a link to dozens of Project Resources and Information. The new smart phone and tablet devices have resulted in some fun apps as well as apps that can significantly help you with information for your science fair project. We’ve listed some of what we consider to be the best iPhone & iPad apps here. Working on a science fair fair project can sometimes make students and adults create goofy videos about the process. Here’s link to some fun You Tube videos, where also you might learn a bit about how to do a science fair project. All work and no fun is…well, no fun. So, when you need to take a break from working on your science fair project, here are some fun science games and puzzles. But, don’t spend too much time on them!